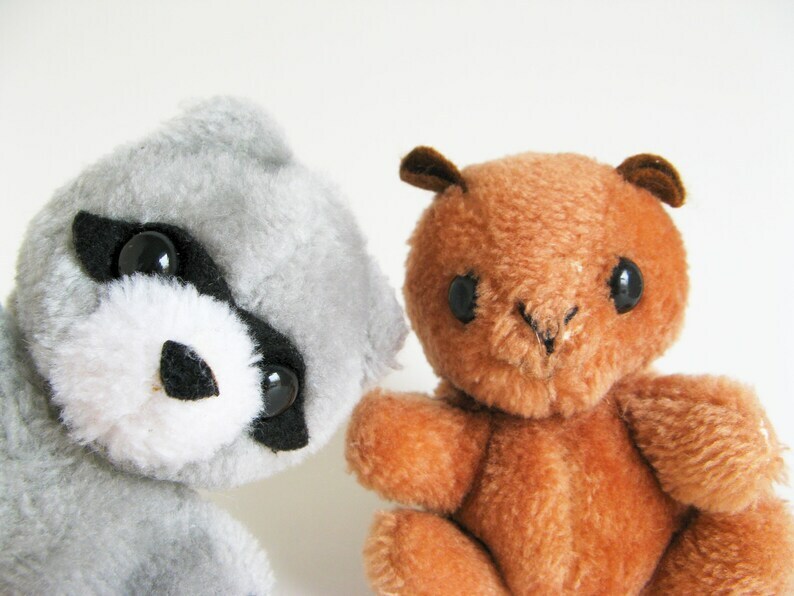 Pair of adorable vintage Racoon & Squirrel stuffed animals. Made by R. Dakin in 1978. They are in good, well played with condition and show some play wear.